We are still in summer mode at my house, and I am missing the beach already! There is something so calming about the ocean and waves. 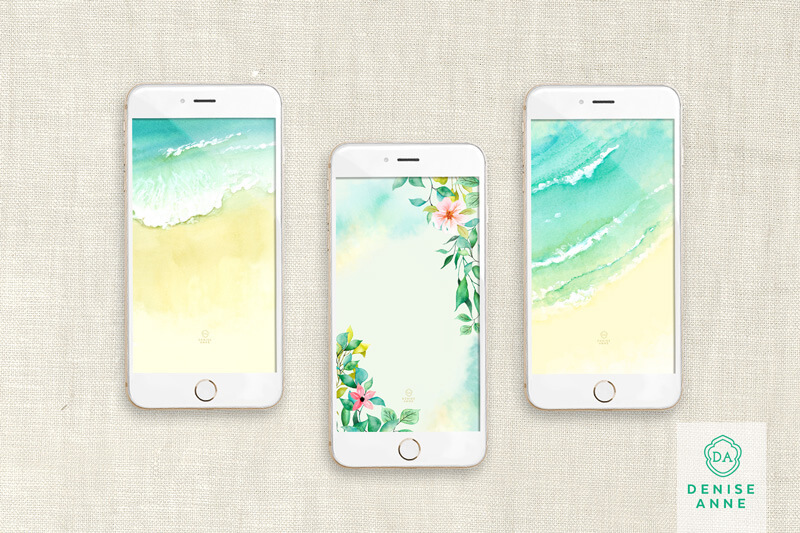 So, I wanted to share some tropical goodness with you, and you can download these island-inspired tech wallpapers for your phone for free! These wallpapers were created with my recently released clipart graphics sets, Saltwater Shores, which are available in 3 volumes here, and also available as a single bundle set in my Creative Market shop. You can download all phone sizes below in a single Zip file. Select the one for your phone type and transfer the wallpaper to your iPhone. These new wallpapers have also been added to my design archives for subscribers and can be downloaded individually from the archives. Want access to the archives? See below! Need to see how to set these wallpapers as your home screen and lock screen? Check out my blog post on setting your screens here. Select the one for your phone type and transfer the wallpaper to your iPhone. These new wallpapers have also been added to my design archives for subscribers and can be downloaded individually from the archives. Want access to the archives? See below! Note: These wallpaper designs are for personal use. If you like the wallpapers, please link back to this blog post to share. JOIN MY EMAIL LIST AND GET MORE FREEBIES AND DESIGN GOODNESS DELIVERED RIGHT TO YOU! Plus get access to my design archives full of free wallpapers just like these, graphics, mockups and more!